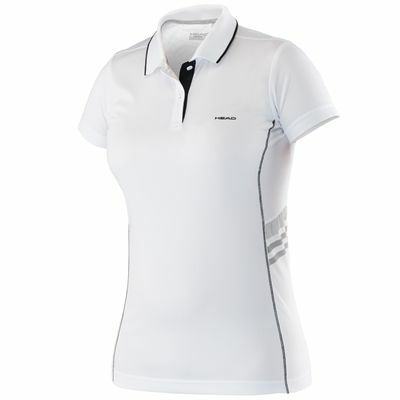 Part of the Essentials Range with a flawless stylish appearance, the Head Club Girl Polo Shirt with an implemented mesh ventilation inserts for prolonged coolness of the body, allows for excellent cosiness and unrestrained mobility due to Ergostretch technology as well as a superb moisture absorption, plus an unparalleled skin freshness thankfully to Endodry technology. A brilliant, personalised fit prevents the discomfort during a master-class workout by virtue of Ergofit Technology. The polo shirt is made completely of polyester and features a Head logo on the chest. for submitting product review about Head Club Girls Polo Shirt.